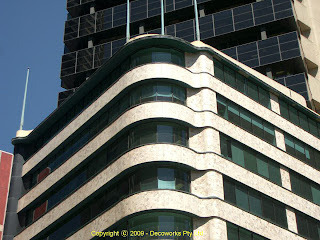 The Telford Trust building at 261 George Street in the Sydney CBD is also known as Feltex House and Interocean House. 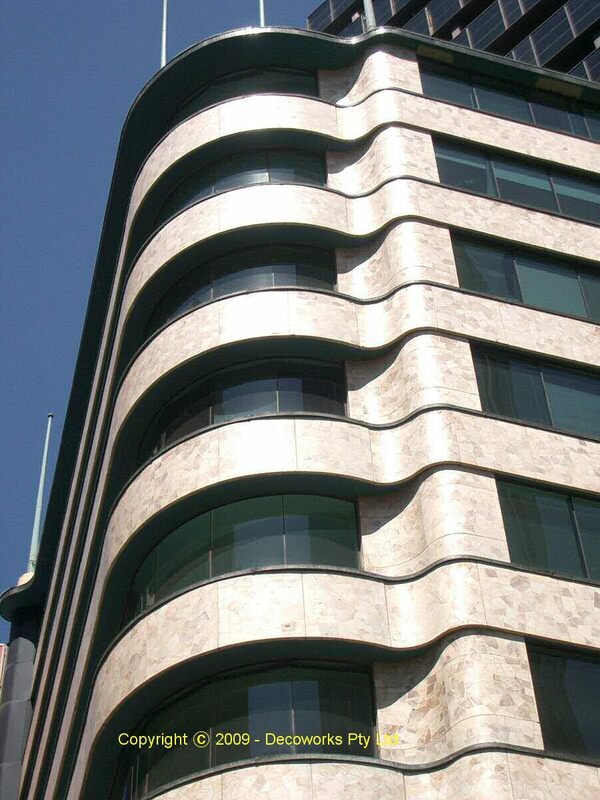 It was built in 1939 by Concrete Constructions Ltd and was designed by Adam, Wright & Apperly. 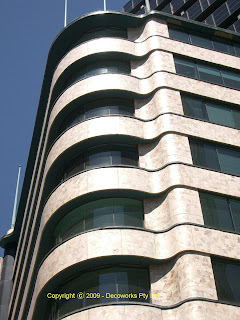 Originally only three storeys the building was sympathetically extended to nine storeys in 1961 by Buchanan, Felton and Lovell. It is an outstanding example of InterWar Functionalist style and notable for its wide unbroken expanses of glass and horizontal spandrel panels curved at the street corner.